Design is repeated twice for double the fun. 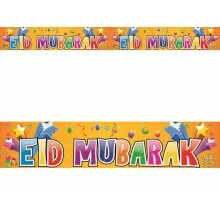 The best way to celebrate Eid is to brighten up your home, school or mosque with this great EID MUBARAK Banner. 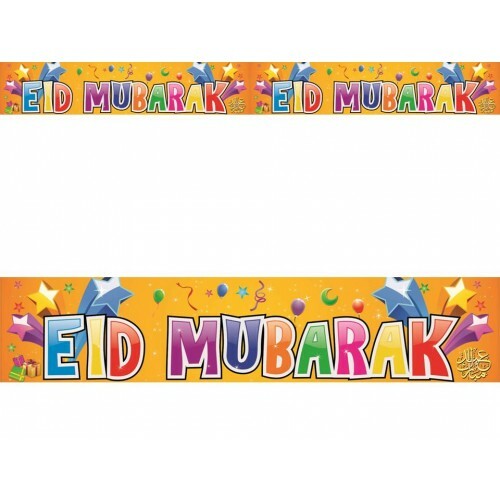 This colorful & lively design will ensure everyone is in the Eid celebration spirit.